A true-crime podcast that dives into some of Hollywood's most gruesome and chilling unsolved murders. 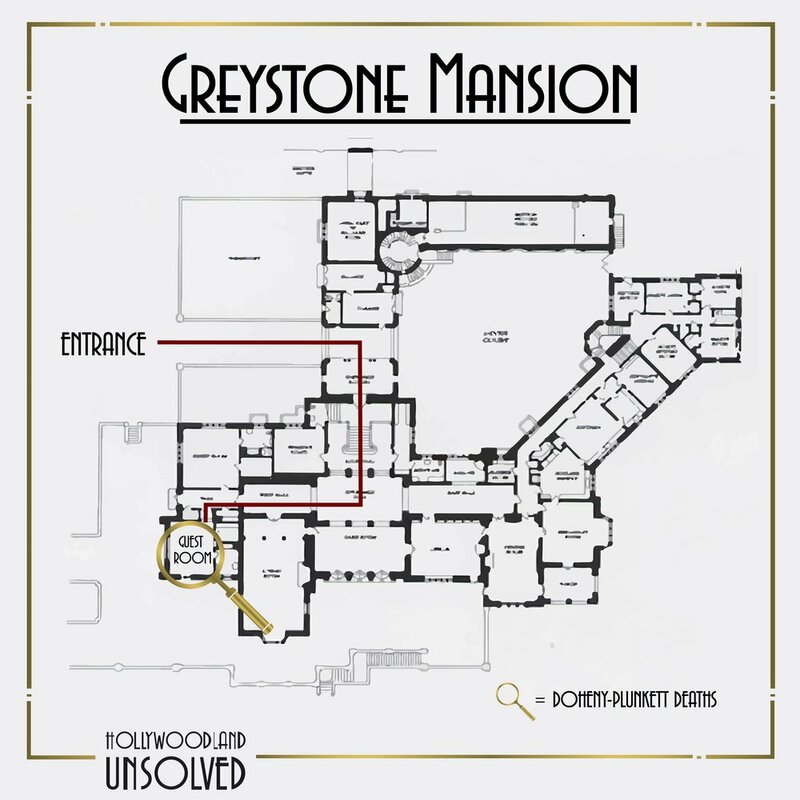 Every episode comes with maps so you can help solve the case. Happy Sleuthing! Nestled in what is now known as the Trousdale Estates, surrounded by sweeping views of Los Angeles and beyond, in one of Beverly Hill’s most exclusive neighborhoods, in the 90210 zip code, stands a towering 18.3-acre estate (that’s over 18 and a half footballs fields). This massive gray stone structure surrounded by lush gardens, water fountains and ponds, and all the trimmings of a life of luxury, stands as a physical tie to the past - a past full of deceit, greed and ultimately - murder. Living the life of a young Hollywood star is the dream for many – but for Old Hollywood starlet, Thelma Todd – or Hot Toddy as she was known in Hollywood – this final scene turned out to be a nightmare. After Todd’s body was found in the closed garage, local authorities quickly deemed it an accidental suicide. But is there more to the story than meets the eye? On September 5, 1932, the body of MGM executive, Paul Bern was found in with a bullet hole in his head lying front of a mirror drenched in his wife’s favorite perfume in the master bedroom of their Beverly hills mansion. His wife? None other than the notorious Jean Harlow. His body was found with a suicide note that read "Dearest Dear, Unfortunately this is the only way to make good the frightful wrong I have done you and to wipe out my abject humiliation, I Love you. Paul. You understand that last night was only a comedy." Was this really a suicide? Or is there more to the story than meets the eye? The body was severed at the waste and appeared to be laid out carefully as though she was basking in the southern California sun. There were also three inch gashes cut into her face – causing her to have a permanent smile. The the dark hair of the woman was framing her delicate features and her body was stoic and complete white, perfectly drained of blood. Her breasts had been slashed and an alleged “BD” had been carved into her left thigh. This cold case has stumped the LAPD for 70 years. This is the murder of the Black Dahlia. Hollywood is a city built on history, glamor and scandal. With so many iconic monuments so accessible, I love learning about the different histories of the places I visit on a daily basis. What I have learned is not only that Los Angeles has some of the most gorgeous hotels, but boy oh boy, do they have quite scandalous histories. So in the spirit of Halloween, I wanted to give you a tour of the some of Hollywood’s most iconic (and haunted) hotels.